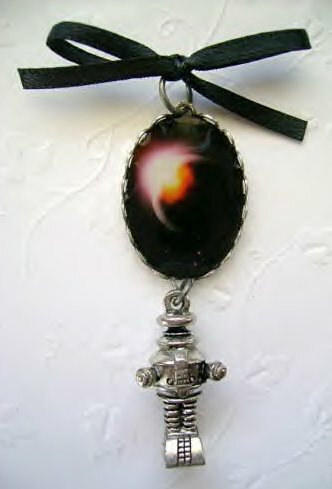 Here is a very nice Altered Art Lost in Space Robot Pendant. A fan made item, pendant measures about 2 inches. A very special collectors piece!